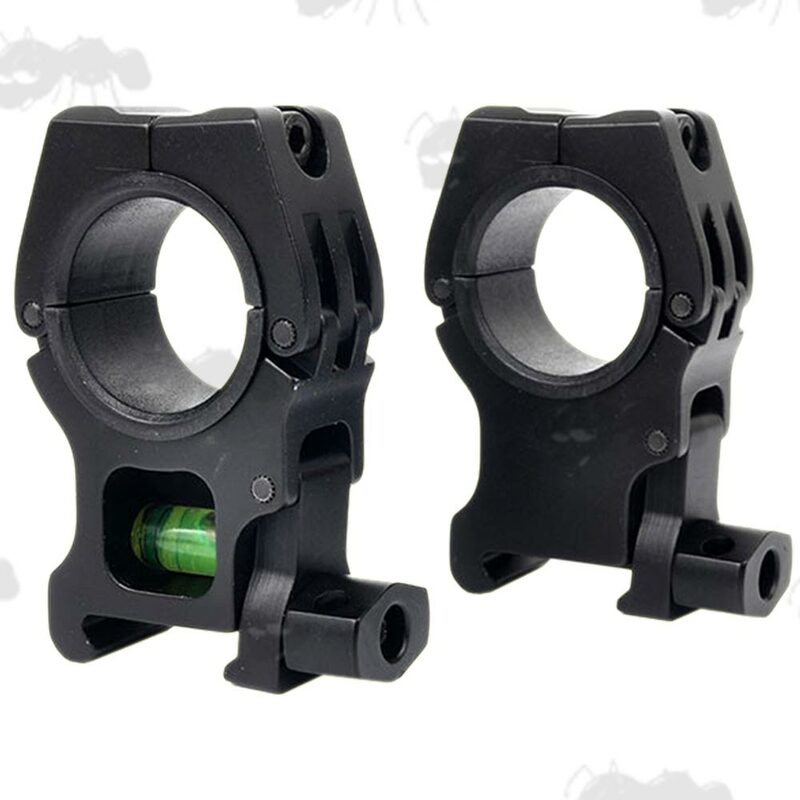 Precision machined high-grade scope mounts. Also available ~ Scope Tube Fitting Spirit Levels. Gap between the two rings ~ 72mm. For 1 3/16 inch / 30mm tubes, with 1 inch / 25mm reducer rings included. 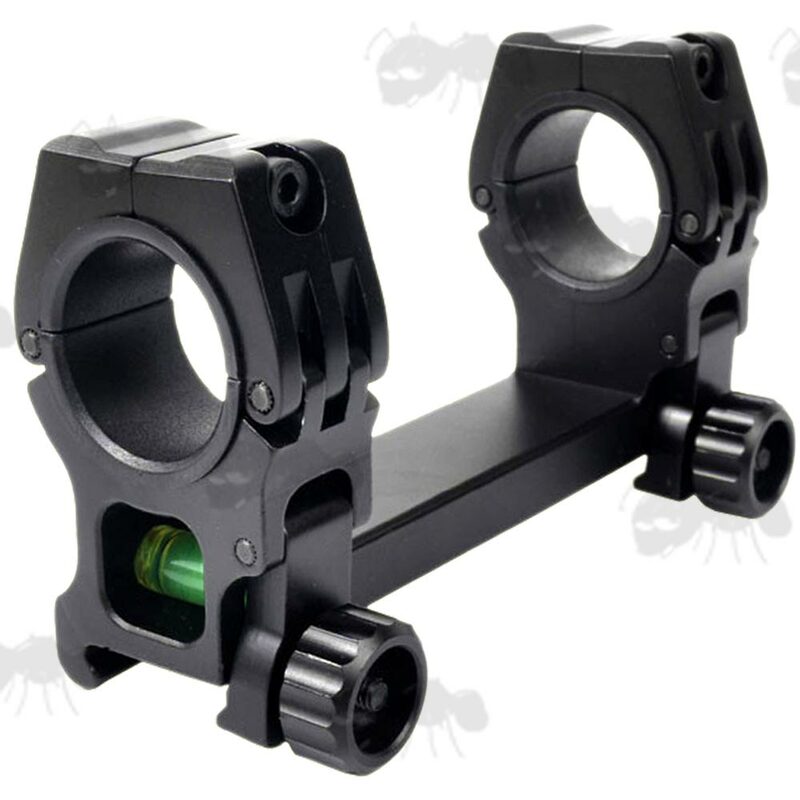 Features a crowned-rail interface which results in excellent zero retention performance. 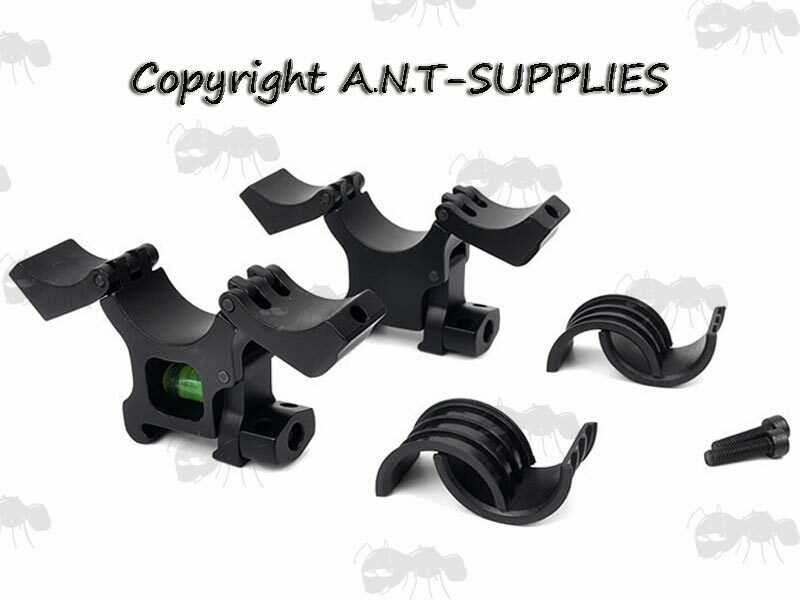 Fits 30mm and 25mm* scope tubes (*with adapter). CNC machined from durable 7075 aircraft grade aluminum with a hard coat matte finish to help prevent corrosion. Integrated anti cant scope spirit level. 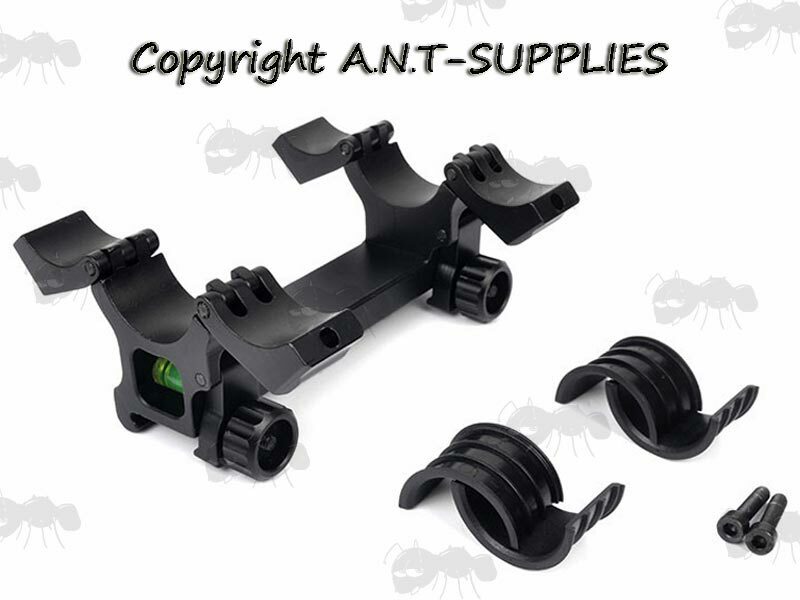 Fits 20mm wide Picatinny / Weaver / MIL-STD rails.